Story: Set in Canton, China in the 1940s, the story revolves around a hapless wannabe gangster who aspires to become a member of the notorious "Axe Gang." Other characters include an obnoxious landlady and her apparently frail husband who exhibit extraordinary powers in defending their turf. Set amid the chaos of pre-revolutionary China, small time thief, Sing, aspires to be one of the sophisticated and ruthless Axe Gang whose underworld activities overshadow the city. Stumbling across a crowded apartment complex aptly known as 'Pig Sty Alley,' Sing attempts to extort money from one of the ordinary locals, but the neighbors are not what they appear. Sing's comical attempts at intimidation inadvertently attract the Axe Gang into the fray, setting off a chain of events that brings the two disparate worlds face-to-face. As the inhabitants of the Pig Sty fight for their lives, the ensuing clash of kung fu titans unearths some legendary martial arts Masters. 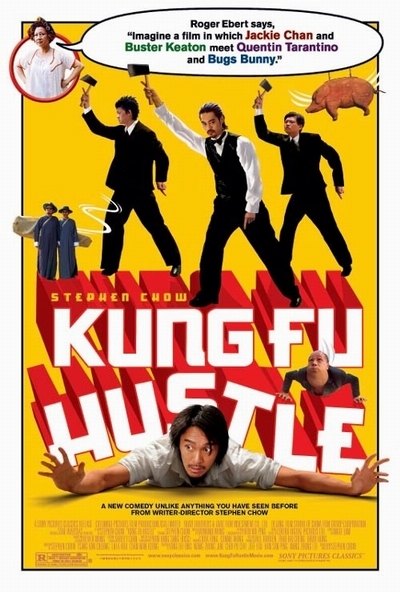 Sing, despite his futile attempts, lacks the soul of a killer, and must face his own mortality in order to discover the true nature of the kung fu master.